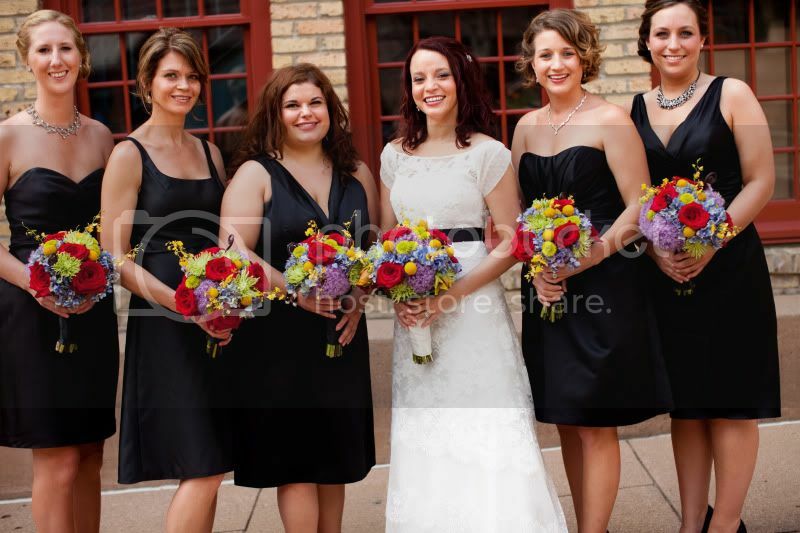 Getting married on June 16, 2012 at Montefiori in Lemont. Looking for a reasonably priced photographer. Have a little bit of wiggle room in our budget, but hoping to go with a reasonable photographer so that I can get a band instead of a dj. Also, if anyone knows of good wedding bands please feel free to comment. Figured I post as while the date seems still far off. Starting to have nightmares and panic attacks (especially when I open MyKnot and see all the pink clocks) that it's the day of and nothing is ready. Do you have an budgeted amount in mind for photographers? I think depending on your budget, Aimers and I would recommend the same photographer . But I'd also like to recommend Fantasia as a wedding band, they were the most reasonably priced band that we found and they did an incredible job at our wedding. The dance floor was packed all night. Like the other Knotties said, it will depend on your budget. Photography is one thing I have been told by EVERYONE that you shouldn't look to cut costs. And when you really think about it, pictures are one of the very few things you're left with after the big day. Since you are getting married during "peak wedding season" next year, my photographer (Colin Lyons Photography) would charge $3000. If you do not get married during peak season, my photographer offers a nice discount. He does a fantastic job and reasonably priced for his skill level. We budgeted around 4500 but after looking at some websites I was thinking hoping to find someone decent around 1500 which gives me that $3000 to play with. Not sure if this can be done and if it can if we will be really sacrificing quality. Yup, MrsLibrarian and I would both recommend Tasha Schalk of Redwall Photography She is so great to work with and you will not be disappointed! Her wedding packages start at $2850. Not sure how much bands cost? We had a DJ, and you can find one to stick w/in your $4500 price range for photographer and DJ/band if you chose to go w/a pricier, but better quality photographer. Just a word to the wise--I thought I would be saving money by going w/a florist who was really my second choice because of money...it was an awful idea! I have nothing but beyond positive things to say. I reviewed him on TK and I just recommend checking him out. He was amazing. He is also well within your price range. Kara Schultz is mine and is amazing and affordable. Planning Bio UPDATED with For Sale! We are using Miller & Miller - they are a husband & wife team. Haven't done any pictures yet but I love their style and their pictures are awesome. Wow!! I am getting married June 30, 2012 at Montefiori in Lemont as well!!! I just booked with my photographer..We haven't taken any pictures with her yet, but after meeting with her and seeing some of her work, I knew she was the one.. One of the main reasons I choose her was becuase she had a lot of outdoor pictures that I love!! Considering we are getting married outdoors, this was a plus...Her pricing is also affordable- but like the others said, this is one area I dont want to be skimpy in..Photos last forever!! Check out her website...Portraits by Angela Wright...Let me know if she works out...Good luck! Kent Drake is another one to check out!